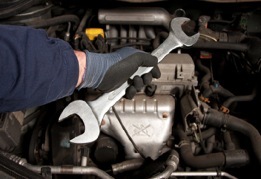 Welcome to Paisano Muffler and Auto Care, a full-service preventive maintenance and automotive repair center. We undertand that you have several options to choose from in that's why we work diligently to earn your trust and respect. Our knowledgeable staff take pride in providing you with a fair estimate and critical information about your vehicle to help you understand the repairs needed and how to get them done at a high quality but cost effective manner. Call us at (773) 424-8600 to schedule an appointment!